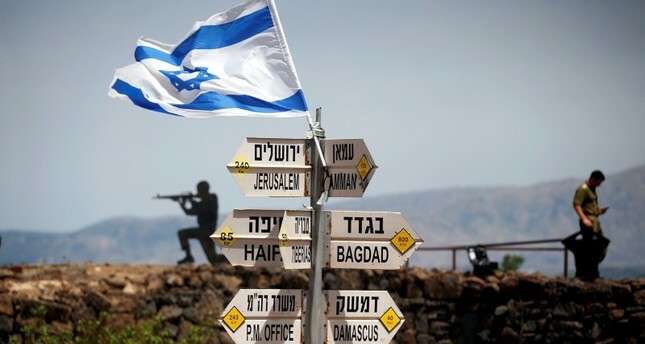 Again breaking with longstanding international consensus, Trump said Thursday that the United States should acknowledge Israeli sovereignty over the strategic plateau it seized from Syria in the 1967 Six-Day War. The prime minister, who faces looming corruption charges, is locked in a tough election campaign with a centrist political alliance headed by former military chief Benny Gantz and ex-finance minister Yair Lapid. Turkey, the European Union and several other governments have condemned Trump's pledge, saying it violates international law. The decision is the latest major move in favor of Israel by Trump, who in 2017 recognized the disputed city of Jerusalem as the country's capital.